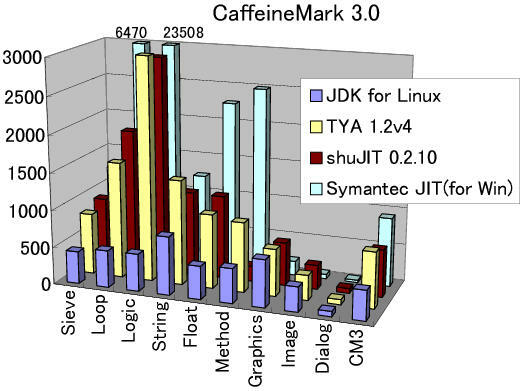 This page shows some performance comparisons among Java runtimes on Linux and Windows. Attention: The results on this page are outdated and obsolete. TYA was improved to some degree after this version. We made comparisons among the following runtimes. 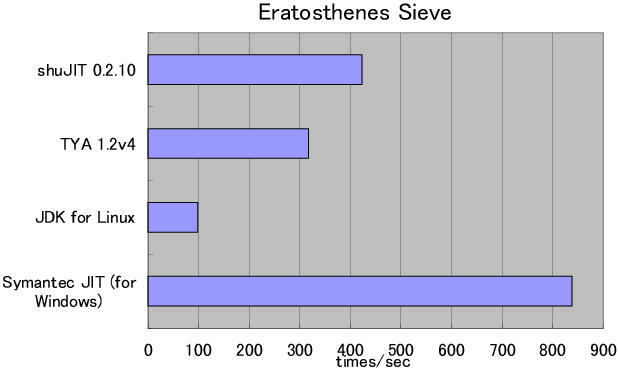 The benchmark `demo/Sieve.java' in the TYA archive. 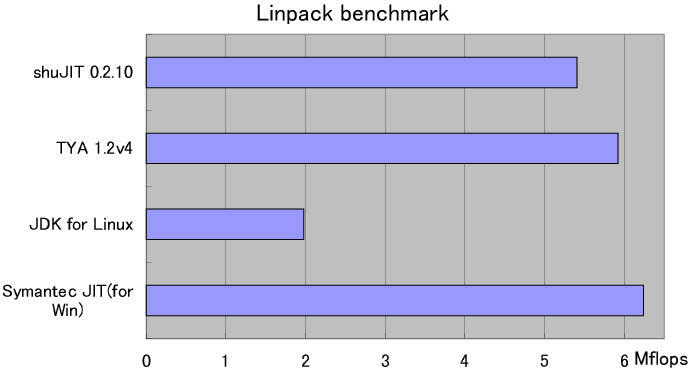 Linpack Benchmark -- Jave Version (http://www.netlib.org/benchmark/linpackjava/).